AMB and the Cambodia Tourism Federation are pleased to announce the Cambodia National Hospitality Competitions for 2016 which will be held the 20th to 22nd October at Koh Pich (Diamond Island). This will be part of the CAMFOOD CAMHOTEL ’16 international trade expo for the hospitality industry. This is an exciting time for Cambodia bringing together five associations under the umbrella of the Cambodia Tourism Federation. This is the fifth time that the competitions have been organized in conjunction with CAMFOOD CAMHOTEL. There will be fourteen competitions this year. This is an amazing opportunity for our hospitality professionals to come together and show their talent. The Cambodia Hotel Association will hold the Bed Making Competition, Floral Design Lobby Style, Floral Display Table (new), Front Office Competition (new) and Wedding Arch Competition (new). 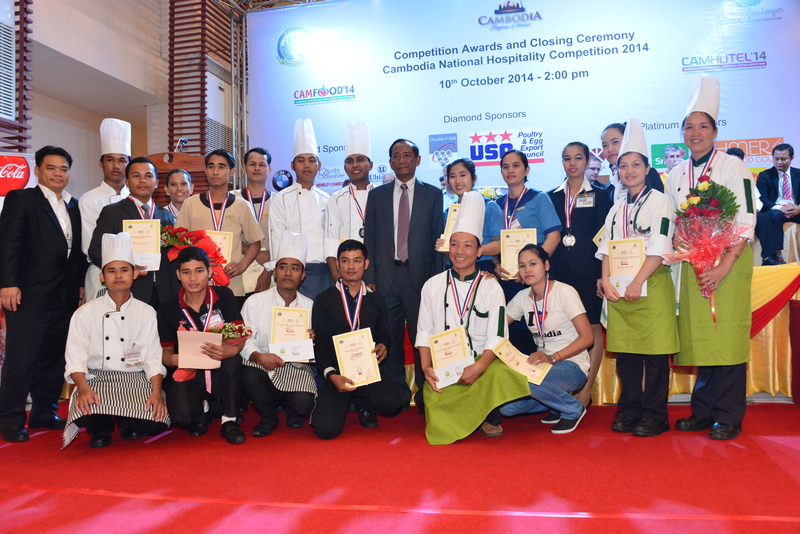 The Cambodia Restaurant Association will hold the Barista Competition, Bartender Competition & Table Setting Competition. 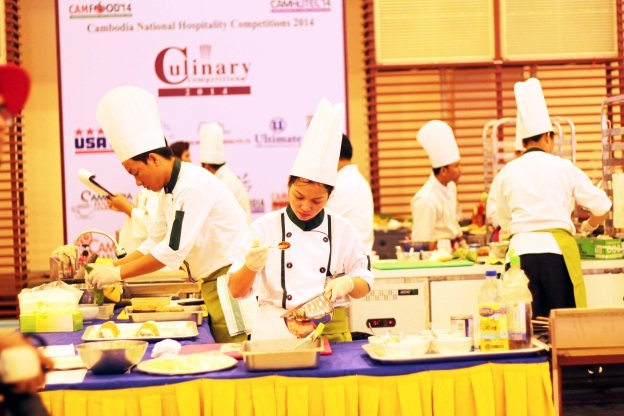 The Cambodia Chefs Federation in conjunction with the Cambodia Chefs Association will hold the Cambodia National Culinary Competition, Main Course Beef, Cake Decorating Competition, Vegetarian Competition and Bread Display Competition. The Sommelier Association will be holding a three step competition challenging competitors on their skills on knowledge, taste and presentation. For further information, please contact manager@cambodiatourismfederation.asia or 076 222 8884.